The Turnbull name is a well know clan of Scotland that helped to defend the borders of Scotland from the English. Fate has been unkind to the Turnbulls. None of them managed to collect a peerage on his way, and as a result their early history is less well documented than that of other great Border families. 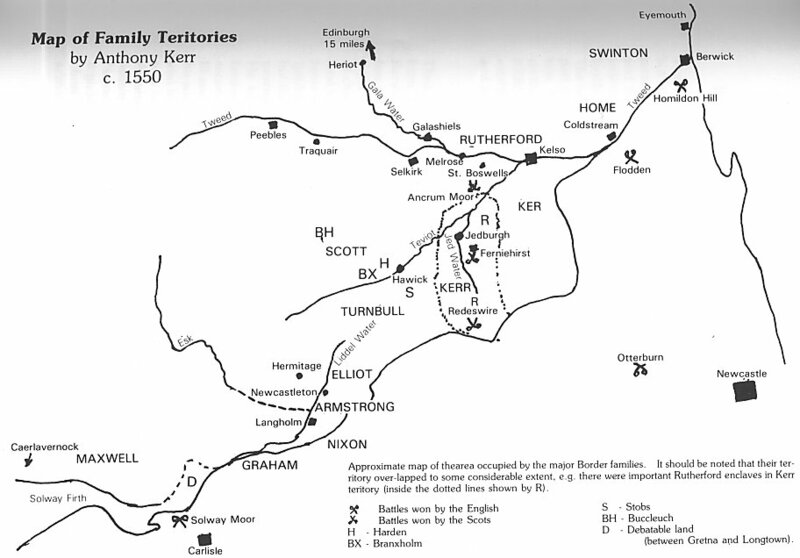 The Kerrs, Scotts, Elliots, Rutherfords, Turnbulls and others were inextricably mixed throughout the Central Border in varying proportions from place to place. They were also inextricably intermarried, and with the considerable number of men killed in battle, in raids or on the scaffold at a fairly early age, it was not unlikely that their sons might be brought up by a maternal uncle with another surname and form strong links with his family. William de Rule, a friend and hunting companion of Robert the Bruce and Sir James Douglas, is said to have acquired his new name, and quite a lot of land to go with it, through a remarkable incident a year after Bannockburn. 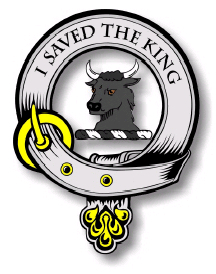 While hunting near Callander, King Robert de Bruce was suddenly charged by a wild white bull and de Rule, a massive and fearless man, seized the bull by the horns and twisted its neck round, thus killing it and saving the King. For this he was rewarded with a grant of land and the name of Turnebull (turn ye bull); the name of de Rule disappears from the records about that time, which seems to show the story is genuine. This Goliath met his David, a diminutive English knight called Sir Robert Benhale, the day before the battle of Halidon Hill (1332). By this time he was no longer a young man (if he is the same William de Rule who witnessed a grant to the monks of Kelso in 1300); but he paraded before the English lines with a dog nearly as big as himself, offering to fight any that dared come forward. Benhale took him up, and started by killing the mastiff; this evidently disconcerted Turnbull, after which the Englishman sliced off his arm and then his head). What we have within our family is the decendants and James Turnbull (of Hawick, Scotland) and his son George Turnbull. George came to Canada in 1911 at the age of 25 and worked as a farm hand at Indian Head where he met and then married his first wife Mary Paterson on March 25, 1914. They had a son, Jim who was born on March 16, 1916. Mary died from complications of the child birth on Mar 26, 1916 in the Holy Family Hospital in Prince Albert, Saskatchewan. George then enlisted that year and went overseas leaving his baby son with some friends. Before his return in 1919 he married his 2nd wife, Elizabeth Currie, on Jun 5, 1919 and they had 9 more children. We currently have 6 generations of Turnbulls in our Family Tree.